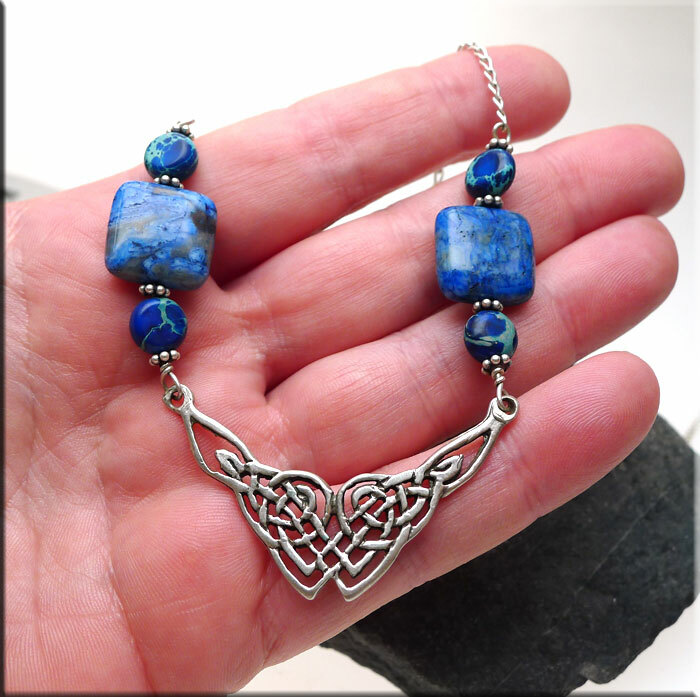 One of a Kind Celtic Necklace. 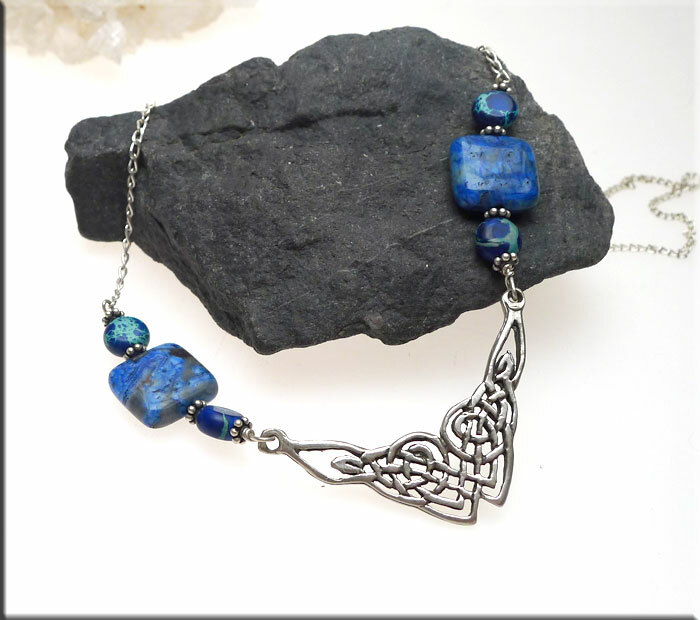 Hand-Crafted in Solid Sterling Silver, flanked with Blue Sea Sediment Jasper and Blue Crazy Lace Agate Gemstones. Beaded Necklace chain length : ~19". Centerpiece measures and additional ~1-1/4" tall x 1-7/8" wide. Centerpiece, Beads and Necklace Chain are wire-wrapped together (not attached with flimsy jump-rings), so it's Secure. One-of-a-kind. 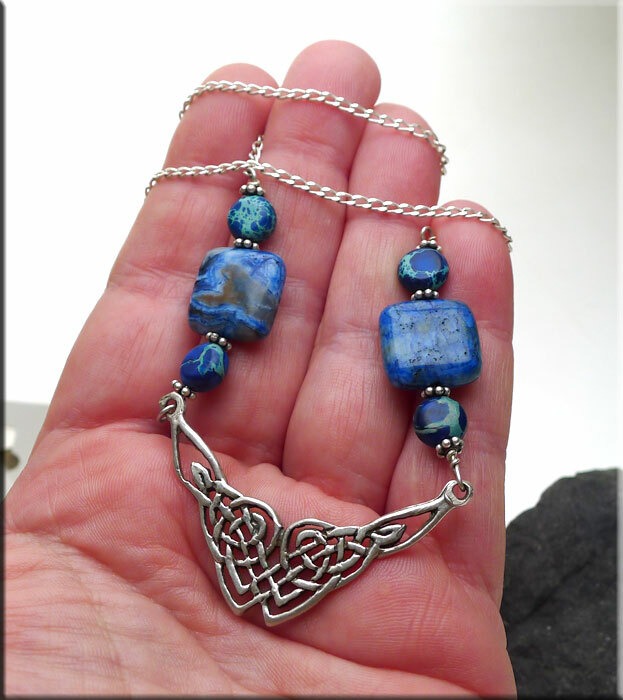 Solid .925 Sterling Silver Construction : including all Findings, Wire, Chain, etc. The centerpiece is Hand-cast by Us here in the USA and is also Sterling Silver -- it's a centerpiece we also offer separately to the public (SE-2856). You'll receive the exact necklace pictured.